The Award Winning Emperor is a calming and alluring hot tub that arrives complete with 5 seats and 2 loungers within its 256cm x 226cm frame. The hydrotherapy is delivered courtesy of 83 finely tuned jets fuelled by 3 x 3HP massage pumps reliably & efficiently orchestrated by a high tech SPA TOUCH spa system designed by the Balboa Water Group. With relaxation a key ingredient in the Emperor Deluxe's DNA, the multiple featured LED lights provide a perfect ambiance which when merged with Bluetooth audio creates the perfect mood. The new Emperor Deluxe models also feature the latest Balboa Bluetooth Audio BB2 for the perfect mood enhancement. The Emperor also boasts a triple filtration system, water diverters, LED fountains & waterfall, modern drainage & ozone systems along with a ratio of jets per HP of just 9. With all attributes described above plus more, it is no surprise the Emperor won The Best Health Benefits award at the British Pool & Hot Tubs Awards of 2016 & 2017. 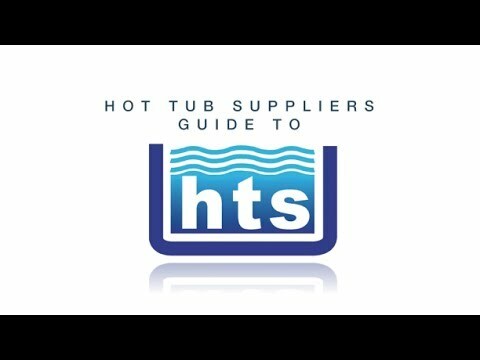 In 2019 the Emperor was also awarded the silver award for the best domestic hot tub in the UK. Moreover, this Deluxe consists of all the attributes of the award-winning Emperor together with the Spa Touch Balboa control system for the ultimate spa management along with the Balboa WIFI adapter for total hot tub control via phone, tablet or any other smart device. Comfortable, deep & spacious, each seat & lounger on the Emperor hot tub is structured to create the complete spa experience. Contoured lines merge both body & surface together with the added depth that Emperor Deluxe offers - the highest quality of relaxation is achieved. The Emperor Deluxe features surround lights, prism spot lights, base lights, fountain lights & waterfall. 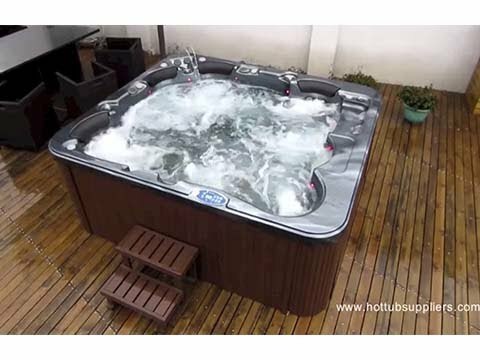 Our programmable filtration system allows full control of the filtration process with the triple filter system of the Emperor Deluxe hot tub standing tall to prevent the passage of any unwanted solid particles. Ensure you enjoy the maximum hydrotherapy by using the Emperor Deluxe's water diverters to direct water to where you are sitting for increased power & performance. The Emperor Deluxe uses a closed cell high density foam to insulate the base of the shell. the Emperor Deluxe has 360 degrees of protection. Performance is our obsession from our jets to systems and also includes the Bluetooth audio of the Emperor Deluxe hot tub. Whether it’s streaming your playlist via Bluetooth or listening to your favourite radio station, the audio system works in tandem with the hot tub to deliver peak performance. In 2016 & 2017 , the Emperor Deluxe model was the winning model. The Emperor Deluxe Hydrotherapy experience includes specially positioned massage jets for back, shoulder, feet, legs, seat, hip,hamstring & calf. Based on Balboa’s patented touch panel technology, the new Spa Touch panel is the next breakthrough in ease of operation for hot tubs. Bright & clear, the easy to use interface allows full control of the management of the Emperor Deluxe.